There is something about a full-sized SUV that makes it stand out in the automotive world. In today’s market of vehicles ranging from tiny little smart cars to mammoth boats-on-wheels, a full-sized SUV like the 2019 Ford Expedition makes a lasting impression. It is clearly on the larger end, but it is not just defined by its substantial size. These impressive vehicles have a unique combination of space, utility, power and comfort that no other class of vehicle can offer. And the 2019 Ford Expedition is a leader in that class. The Ford Expedition turns 21 this year, and it has an all new adult look to go along with its newly acquired license. This is not a vehicle for children. 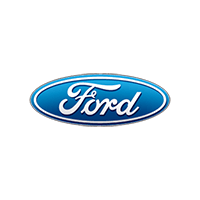 It combines all the power and performance that Ford has been delivering for years, but with a touch of class and refinery that is more befitting its advancing years. Starting at $52,130, this is a serious SUV for a serious driver. 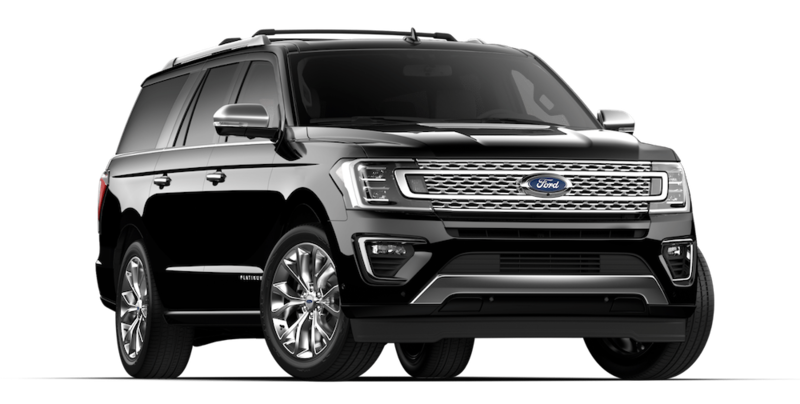 Take a brief look at what Ford can offer with the 2019 Ford Expedition in Cincinnati, OH and when you are done reading all about this powerful, yet gracious, SUV, head down to King’s Ford and take a tour of it in person. The 2019 Ford Expedition comes in three trim levels – the XLT, Limited and Platinum. The XLT would be considered the base trim level, but there is nothing base about this vehicle. It comes with plenty of amenities and optional packages, so you can customize it to your liking. It also has two different wheelbases, in case the already wide open interior is just not quite enough. The 2019 Ford Expedition XLT has a 3.5 liter V6 engine, capable of getting 375 horsepower and 470 lb-ft of torque. It is paired with a 10-speed transmission for smooth handling of all that muscle. It seats eight people, but the 40/20/40 second row and 60/40 third row seats can be lowered for additional hauling space. When those seats are down, the 2019 Ford Expedition XLT can haul up to 1,758 pounds inside, with an additional 6,000 pounds of towing capacity. Standard on the XLT trim are rear parking sensors, push button ignition and an 8-inch touchscreen infotainment system. This includes Apple CarPlay and Android Auto, so you can easily sync your smartphone up to the infotainment system and have instant access to your own music playlists or podcasts. It also has 4 USB ports for charging and connecting to the infotainment system. The XLT trim offers two additional packages: the 201A and 202A. These packages add perks such as a hands-free liftgate, remote engine start, heated and ventilated front seats, dual zone climate control, a 110-volt traditional power outlet, blind spot monitoring and rear cross traffic alert. This way, you can find a happy medium between the base XLT trim level and the next level up, the Limited, without having to commit all the way to a whole new trim level. The next trim level up on the 2019 Ford Expedition is the Limited. This edition has all of the standard features of the XLT, plus the 201A and 202A packages. It further adds things such as retractable running boards, front parking sensors, a 12-speaker sound system and 20” wheels. The 2019 Ford Expedition Limited also has optional packages, much like the XLT. These packages called 301A and 302A include a panoramic sunroof, a 360-degree parking view camera, automated parking system, LED headlights and fog lights, and more. You can also opt for a rear seat entertainment system. This will add monitors into the back of the headrests, so your rear passengers can enjoy a DVD or content from one of the USB ports available. Sorry, no DVD players for the front row passengers. If you are looking to add some flair to your 2019 Ford Expedition Limited, they have an optional package called the Stealth Edition. While you would not think of a vehicle as large as the 2019 Ford Expedition Limited as particularly stealthy, this look adds black trim to the exterior features, such as roof rails, LED light guards, mirrors and Expedition badges. It also decks out 22” wheels in a glossy black finish. On the inside, red stitching highlights the black interior. One thing that the XLT, the Limited and the Platinum all have in common is that you can get each trim level in an extended length body, known as the Max. The Max designation does not change between the trims. What it does do is add considerable cargo room and interior volume to the 2019 Ford Expedition. The Expedition without the extended length is 210 inches long. The Max adds nearly a full foot to that length, at 221.9 inches. The cargo area behind the third row increases from 19.3 cubic feet to 34.3 cubic feet. When the third row is folded down, the interior volume jumps from 63.6 cubic feet to 73.3 cubic feet. When both the second and third rows are down, the interior volume goes from 104.6 cubic feet to 121.5 cubic feet. If you are someone who frequently uses your SUV for hauling around work materials, school projects, camping gear or the equipment for your kids’ soccer team, the 2019 Ford Expedition Max is the way to go, regardless of which trim you choose. The highest trim level on the 2019 Ford Expedition is the Platinum. It combines all of the options of the XLT and Limited trim levels, as well as the higher ends of the 201A, 202A, 301A and 302A packages. With this trim level, you get all of the goodies of the lower levels, and then some. The Platinum trim level adds interior wood accents and upgraded leather on the steering wheel and door trims. These touches give the Platinum level a touch of class usually reserved for SUVs and other vehicles considered to be in the luxury class. Speaking of class, the Platinum trim level also offers front seats with massage functions though the Active Motion technology. So, if you are taking your 2019 Ford Expedition Platinum on a long road trip, and your back and legs are beginning to feel the miles, you can spend part of your journey getting a comfortable massage. Just don’t get too comfortable. It also adds active noise cancellation, which is a system Ford uses to drown out unwanted noise. A series of small microphones on the exterior of the 2019 Ford Expedition Platinum monitors excess noise and uses a sort of white noise to block it. This not only allows for a more peaceful, comfortable ride for all passengers, it adds an element of safety for the driver. Any form of unwanted noise could be a potential hazard. While active noise cancellation is not usually listed among safety features, it certainly should be considered as one. Finally, the 2019 Ford Expedition Platinum has a slightly modified engine. It has the same engine as the XLT and Limited trims, but the Platinum trim’s engine is souped up to get slightly more horsepower and torque. Where the other trim levels will get up to 375 horsepower and 470 lb-ft of torque, the Platinum’s engine will get 400 horsepower and 480 lb-ft of torque. That is just a little something else that the Platinum comes with that you may not think you will need, but you will definitely appreciate the improved acceleration and power. 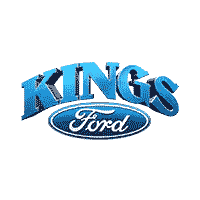 We at King’s Ford know the value of a full-sized SUV. They give you space, comfort, power and safety. Rarely, however, do we see a full-sized SUV that mixes all of these desirable qualities with such grace and luxury as the 2019 Ford Expedition. This is a fully appointed, spacious SUV that has virtually everything you are looking for in a modern sport utility vehicle. We invite you to come on over to King’s Ford and see the all-new 2019 Ford Expedition in Cincinnati, OH. Our sales staff will be happy to show you all of the technological and engineering marvels this vehicle has to offer, including the ones not mentioned here. We can show you all around this massive vehicle, and we can answer all of your questions about its engine, performance, safety features, infotainment and trim levels. It is a lot of information, given all the trim levels, optional packages and stand-alone additions, but our experienced sales staff is up for the challenge. Our finance team can get you started on financing your new 2019 Ford Expedition. We know that financing a new vehicle can be a daunting experience. However, our savvy finance team can guide you through those tricky waters with expertise. We know all the ways to get you the best possible deal, including credit rating, rebates and discounts. Our service department can set you up with a regular maintenance schedule, in order to keep your 2019 Ford Expedition running as it was intended to for years to come. If you can’t make it down right away, check out our online showroom for pictures and specifications for the 2019 Ford Expedition, as well as all of our other vehicles. We can’t wait to get you into a new 2019 Ford Expedition soon!